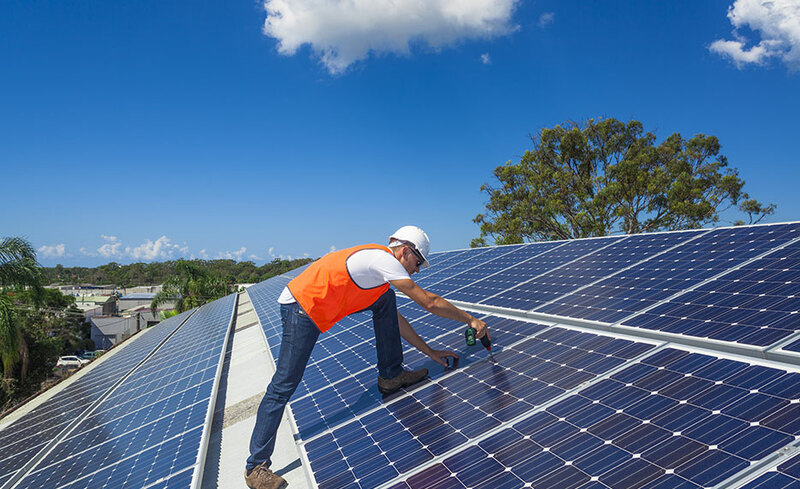 In this online program, you'll learn the fundamentals of photovoltaic "PV" solar powered energy systems, gaining the knowledge you'll need for an entry level position with a dealer, installer, or other photovoltaic industry company. Describe types of PV systems and their features and benefits. Get the renewable energy training you need as you learn the basics of solar systems, their benefits, and their many applications. Examine the history of photovoltaic solar power, and gain a sense for where the PV industry is headed. We'll start with basic safety, including how to avoid potential accidents and how to create a safe work environment as well as the use of protective equipment. You'll master the fundamentals of electricity and solar energy, including how to calculate simple circuit values and predict solar position using solar path diagrams. Upon completion of this program, you'll have a thorough understanding of PV applications, working safety as it pertains to this field, basic electricity, and PV module fundamentals. Upon registering, you're given three months to complete this program. The text book Photovoltaic Systems is included in the price of tuition. High-speed Internet is recommended. This program is compatible with the Windows XP and later operating systems and IE 7 and later browsers. *Please note: AOL, MSN, Opera, Safari, and Camino browsers are not supported. You also need to have the latest version of Adobe Flash and Adobe Reader to properly view all course content. This program cannot be taken on a Mac. There are no specific prerequisites to take this program, but you should have basic skills or knowledge of keyboarding (typing), using computer programs and the Internet, and a good command of English grammar and punctuation. No previous experience is required. This program is for you if you want to learn the skills required for an entry level position with a dealer, installer, or other photovoltaic industry company. Adam Zellhoefer is a NABCEP certified solar installer and brings a wealth of knowledge in solar design and physics. Adam has spent the past few years working as a teacher’s assistant with the solar power program at Cabrillo College in California. Adam served as an assistant to Joe Jordan, a pioneer in renewable energy. All of our programs are self-paced and open enrollment, so you can start them when you want and finish them at your own pace. Upon registering, you're given three months to complete this program. 7. What jobs will the training prepare students to fill? This program provides students with the knowledge required for a career at multiple levels of solar businesses, including: Sales, Assembly, Installation, Engineering, Manufacturing, Administration, Storage, Research and Development, Marketing, and much more! No, you must access this program from a PC or IBM-compatible computer.